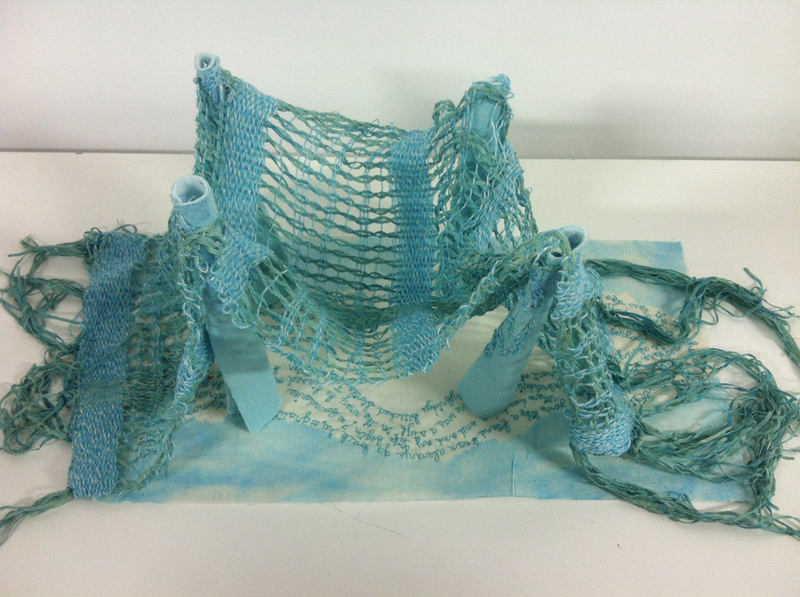 “Woven Poetry Bridge.” 2013. Embroidery, hand weaving, painting and fabric manipulation. Piece made for Weaving Hand residency and @EmbroideryPoems project.